Histology microscopes are used to study cells and tissue in both plants and humans. 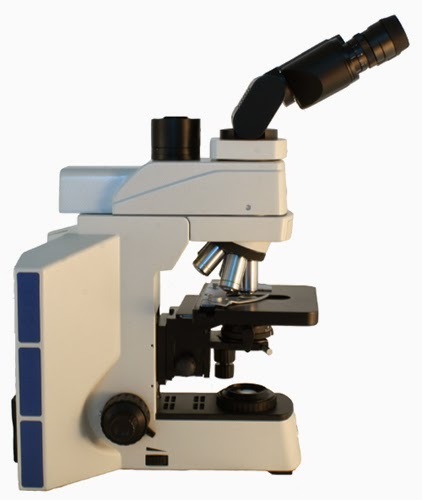 Pathology microscopes are used to study diseases in human tissues, cells and bodily fluids. Histology and pathology microscopes require a precision setup for viewing thing slices of tissue. An ergonomic head is usually ideal since comfort is important for viewing many slides throughout the day. RB40 Trinocular histology and pathology microscope with ergonomic head. Anti-fungal coating on microscope stage and frame. Magnification ranging from 125x - 400x. Ergonomic viewing head for comfort. Mechanical stage with clinical specimen slide holder. Light focusing on rheostat and condenser.